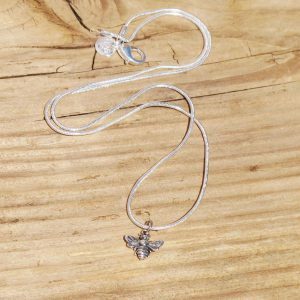 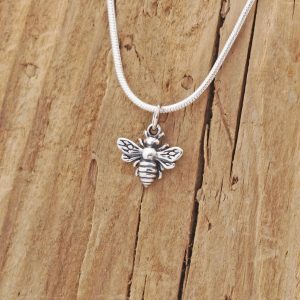 A sterling silver charm necklace adorned with a bee charm which is beautifully crafted and highly detailed. 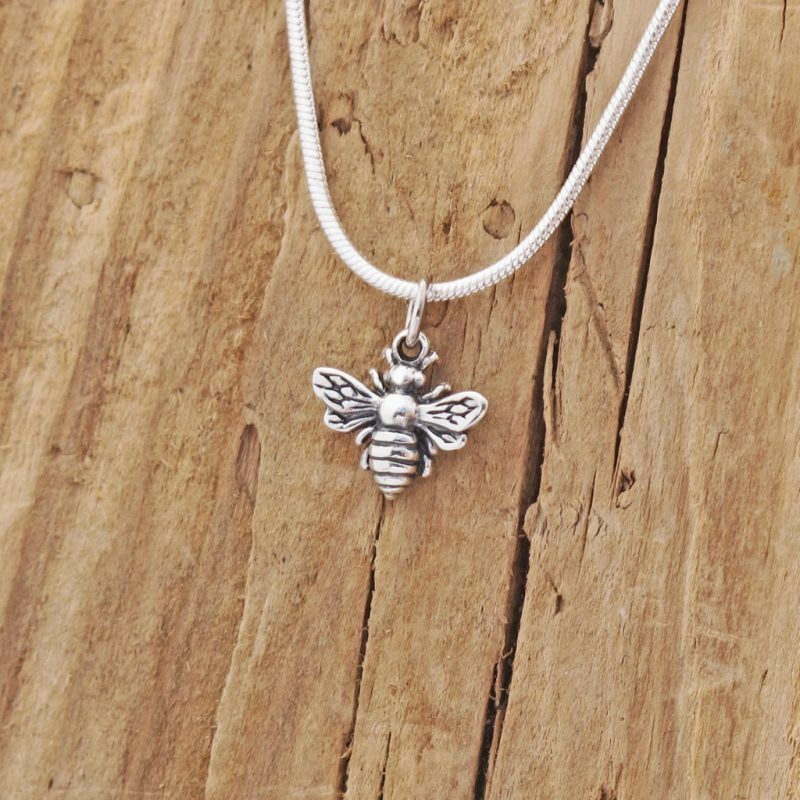 In many religions, bees are commonly depicted as messengers for the spirits, and are closely associated with the sun. 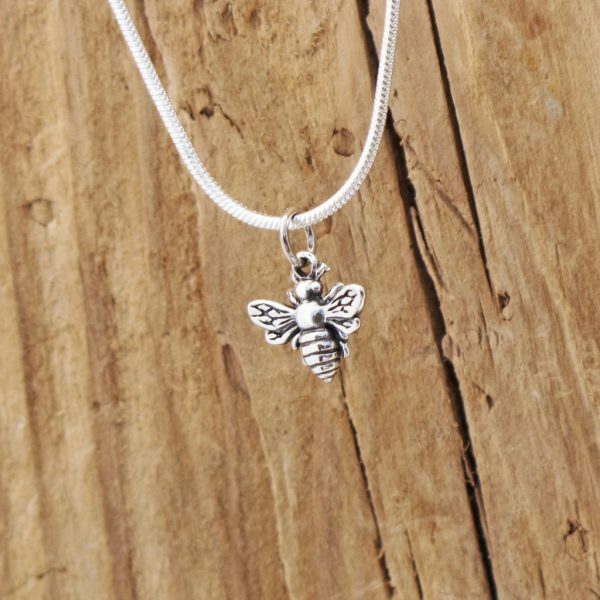 In ancient Egypt, they’re the tears of the sun-god Ra. In Hinduism we see a blue bee on Krishna’s forehead. 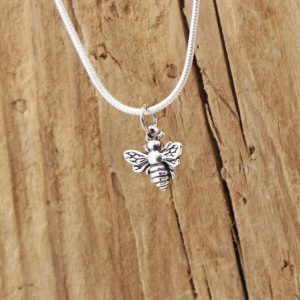 And, in yoga, where each chakra emits a different sound in meditation, the lowest chakra emits the hum of the bee. You can buy the charm separately or you can buy the charm with the necklace as pictured, please make your choice from the drop down menu.